Peru Travel Guide & Tips | Travel. Made Simple. Accommodation: 50-100 Sol for budget accommodation and S150 for midrange hotel option. A double room in a high-end hotel could run you S300 ($88 US). Food: Rice and potatoes are considered a staple in Peru, and are often accompanied by a type of meat. For meat eaters, why not try some local Peruvian alpaca at Pachapapa? For vegetarians (and anyone, really, as this is delicious), sample some sopa de quinoa at the Inka Grill. A quinoa soup/stew made with tons of fresh veggies, it’s an affordable, nutritious and delicious option! Also for food: keep an eye out for restaurants that offer set menus. For as little as S15, you can feast on a soup, entree and small dessert. Great value for money! Transportation: Depending on where you’re going in Peru, the best way to travel around is by public bus. This is certainly the most economical option, and the bus network is pretty extensive around the country. 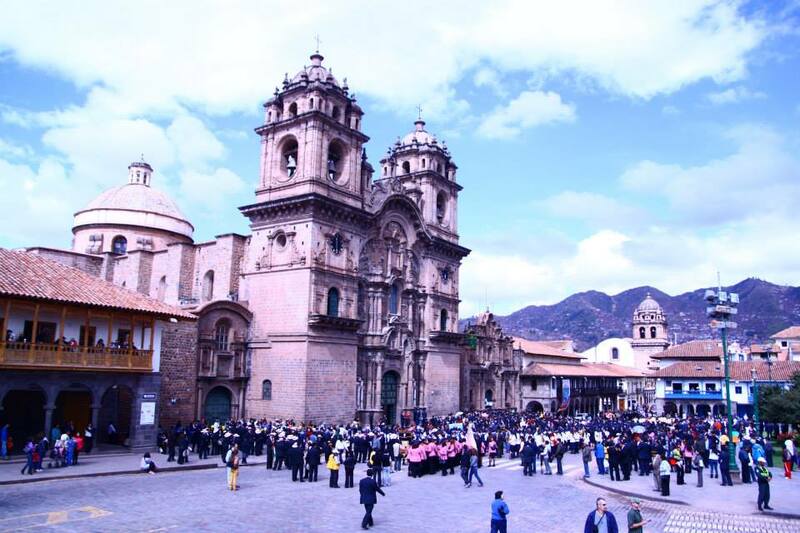 For longer distances, there are a couple airline options, though prices aren’t always considered “budget.” In the interest of time, I flew from Lima to Cusco, and otherwise navigated the city of Cusco by foot! Etiquette: Most restaurants and bars include a 10% gratuity. At smaller restaurants, it’s common to leave a couple soles in addition to the bill (if gratuity is not added). Regarding photography etiquette: ask before you snap photos! Many people were obliging, but some of the older women I met outside the city were absolutely uninterested in having their photo taken. Be respectful, and only snap with permission. What to do: The choices are endless! From shopping in Peru’s colorful markets, to hiking to a 15th century Incan citadel, their are plenty of options for culture and adventure. When to visit: May to October is considered high season in Peru. This is technically Peru’s winter, and is considered to be the driest time of year. For hiking and trekking, this is an ideal time to travel to Peru.